Over the past few days, the fascinating story of China’s acquisition of the Ukrainian carrier Varyag has emerged in the South China Morning Post. We should take the story with grain of salt; as with many military procurement decisions, we likely won’t have the full story for a very long time. Nevertheless, the narrative illuminates the problems and conflicts associated with purchasing the carrier, getting it to China, and convincing the Chinese government that acquiring the ship was at all worthwhile. China’s acquisition of Varyag was contingent on a series of often improbable events. How would China’s carrier program have worked out differently if Ukraine has rejected the purchase, or the Turks had refused transit of the ship, or if the hulk had sunk along the way (a real possibility at the time)? One takeaway from the series, affirming a long-term impression of China watchers, is that the carrier program has long been controversial within Chinese military and political circles. Without the presence of the potentially refurbishable hulk, voices within the PLAN arguing in favor of carrier aviation would have had a tougher case to make. According to the SCMP, the Varyag had complete, intact engines, making reconstruction a much less expensive prospect than would otherwise have been the case. Without the Varyag, would China have embarked on its own domestic construction? Possibly, but even though Chinese shipbuilders and naval architects have made major achievements in the past two decades, building a 50,000 ton carrier from scratch would have been a struggle. Simply getting Varyag’s engines into service required Russian and Ukrainian assistance; building them alone would have severely taxed China’ capabilities. 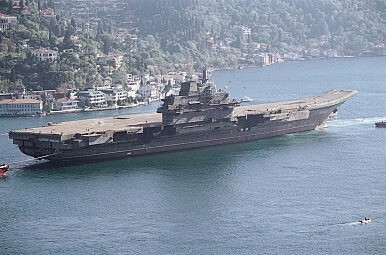 Would the PLAN have attempted to refurbish one of the other carriers it has acquired from Russia? Again, possibly, but neither of the Kiev class ships procured in the 1990s had the potential of Varyag, and both would have required massive reconstruction to perform the roles that Liaoning now plays. As the article points out, buying the hulk of Varyag allowed China to manage to political fallout of carrier acquisition, as well. The PLAN argued for several years that it had no intention of returning the carrier to service, even as it exploited the hulk for everything it could learn and prepared the ship for commissioning. The central government, worried about the international reaction to carrier construction, was reluctant to pull the trigger on the ultra-expensive project. The real lesson, perhaps, is that even military projects with huge political ramifications can turn on individual decisions and historical accidents. It didn’t have to be that way, but with Liaoning, the PLAN has an operational carrier from which it can build an entire naval aviation program. China's interest in aircraft carriers is a strategic calculation based in the psychology of modern warfare. China Says it’s Building More Aircraft Carriers and Ballistic MissilesKeeping China’s Second Aircraft Carrier in PerspectiveTime For a Better "Naval Vocabulary" Liaoning – Paper Tiger or Growing Cub?Will China Develop VSTOL Fighters for Its Amphibious Assault Ships?